I actually made cinnamon roll flapjacks for my kids this morning. In honor of son Jamie being home from college. And in honor of a holiday I’m not celebrating which shall go unmentioned. I will assure you I haven’t experienced the best day of my life in the last 6 months. But here’s to believing maybe I shall in the next 6….. 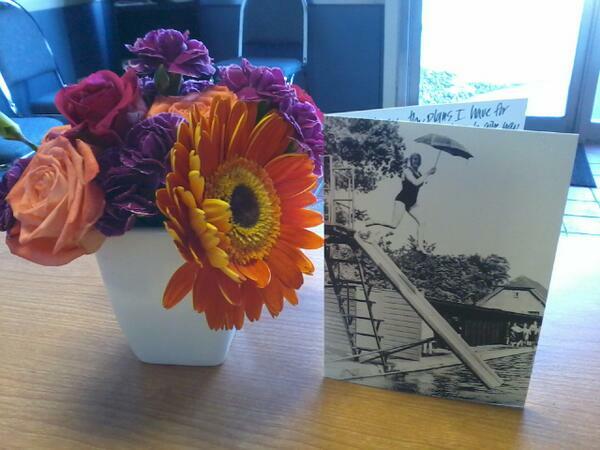 Thanks to the sweet person/people who thought of me. I truly appreciate it. I am being ‘that girl’. What will I eat for dinner? 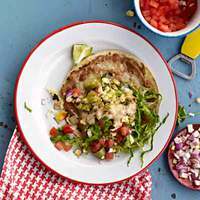 Rachael Ray’s Roasted Corn Tostadas, that’s what. My kids and I love this meal. I’ll close out today’s FFFs with a Susie Larson quote. I find it quite helpful to read before going to sleep. Perhaps it will help you too. May you have a weekend filled with the things you cherish.